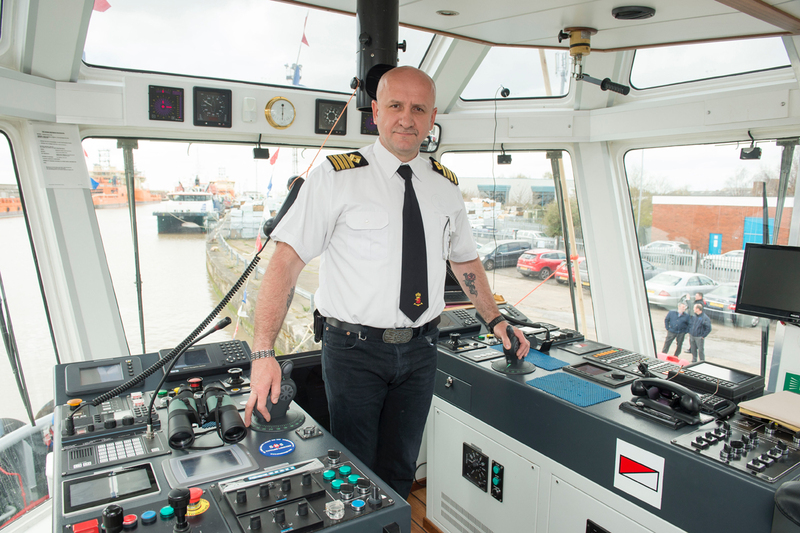 Humber tugboat operator SMS Towage has drawn on heritage for the naming of a £3.5m addition to its fleet. The new Englishman, small, compact and powerful, is the 11th Humber tug to bear the title, in a tradition stretching back to the 19th century. Built at the Sanmar yard on the edge of Istanbul to a Canadian design, the estuary’s latest Englishman produces 3,500bhp and can bring in vessels of more than 170,000 tonnes dead weight and 270m long. Capable of speeds up to 13 knots, she is among the most manoeuvrable vessels on the Humber. The 25m tug is one of 13 vessels owned by Hessle-based SMS Towage, which has grown into the largest privately-owned towing company in the UK. It also has three vessels operating in the Bristol Channel from the South Wales ports of Cardiff, Newport and Barry and two in Belfast Harbour. Together with her seven stablemate tugs on the Humber, the Englishman will be deployed in guiding bulk carriers, tankers and wind turbine supply vessels safely into and out of Hull and Immingham docks and riverside berths. The previous Englishman owned by SMS Towage now plies her trade with the Portland Port Authority in Dorset as the Rufus Castle. Joint Managing Director Gareth Escreet said that the sale of that vessel had helped to fund the latest Englishman as part of the company’s ongoing investment programme. The tug was launched in traditional style, with a champagne bottle smashed across the bows by Sue Lyon, wife of managing director Patrick Lyon, and a blessing by the Rev Canon Neal Barnes of Holy Trinity Church.